Unbounce lets marketers build custom, high-converting landing pages without relying on technical teams or dealing with I.T. bottlenecks. Choose a Unbounce Klip from the Gallery. You are now asked for your Unbounce API Key. 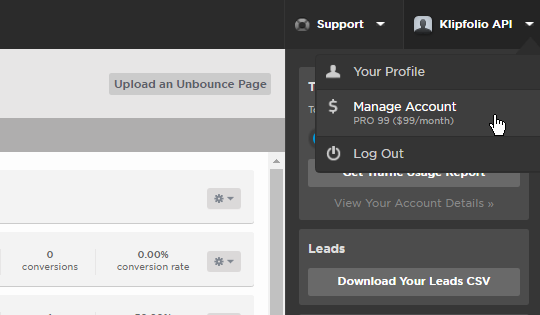 To find your Unbounce API Key, log into your Unbounce account in a new tab. Click on your Account name, and select Manage Account from the drop-down menu. Note: If you don't see API Access on your screen, contact Unbounce to request access to the Unbounce API. 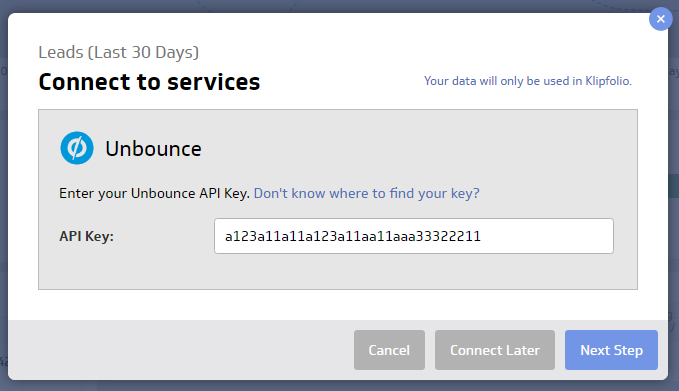 If you don't have an API Key, get Unbounce to enable API access to your account. Then, come back here and click Create New API Key. Select your Unbounce Account name and Sub-account name. 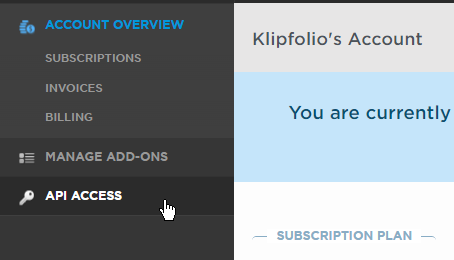 Note: If your Klip is not showing data, check your Unbounce account and make sure that your landing page is published.